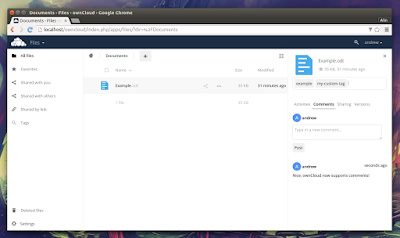 For those not familiar with ownCloud, this is a software suite that you can install on your server, which comes with a web interface that provides access to file management, calendar, image gallery, music player, document viewer and much more. 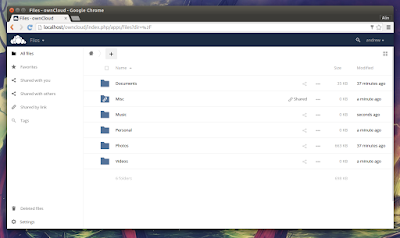 For desktops and mobile devices, you can use the ownCloud Client, which works similar to Dropbox and other such apps, and allowing you to choose what to sync, and it even provides Nemo and Nautius integration. ownCloud 9.0 is, according to its developers, the biggest release so far and it includes new features as well as numerous performance improvements and bug fixes. Check out THIS page for all the ownCloud 9 release highlights. sudo sh -c "echo 'deb http://download.owncloud.org/download/repositories/stable/xUbuntu_15.10/ /' >> /etc/apt/sources.list.d/owncloud.list"
sudo sh -c "echo 'deb http://download.owncloud.org/download/repositories/stable/xUbuntu_14.04/ /' >> /etc/apt/sources.list.d/owncloud.list"
You may also want to check out the ownCloud documentation.